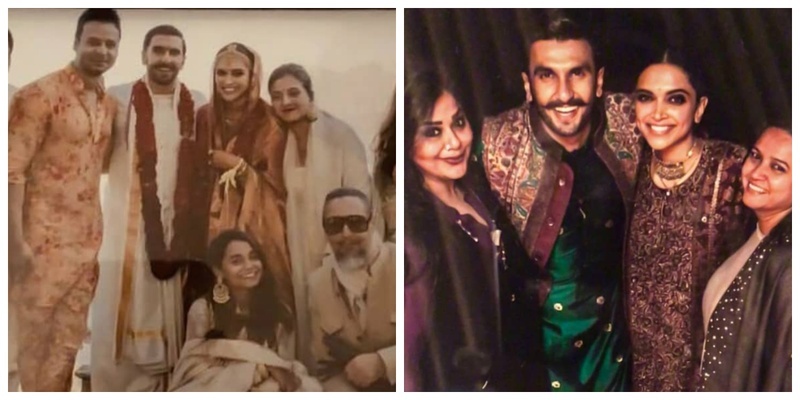 These unseen pictures from Deepika Padukone and Ranveer Singh's wedding ceremonies will totally melt your hearts! Deepika Padukone and Ranveer Singh’s wedding in Lake Como, Italy was a no phone zone wedding and owing to that the whole nation had gone in a frenzy waiting to take a glimpse of the newly wed couple! Everyone heaved a sigh of relief when the power couple themselves shared the official pictures - one from each wedding, Sindhi and Konkani. While the first picture was all team groom, the next is #TeamDeepika. It was also much appreciated as it was the first time we saw the couple’s full look. Deepika’s looked resplendent in her Sabyasachi saree, while Ranveer in a traditional Konkani outfit looked every bit of this stunning self! For the chooda ceremony, Deepika and Ranveer both coordinated their Sabyasachi outfits in the most royal way ever. While Deepika stunned everyone in a churidaar suit with a gorgeous intricate embroidery, Ranveer looked his dapper self in a green kurta layered with a jacket complimenting Deepika’s outfit! Although what caught my attention was his uber cool and signature choice of footwear a pair of white sneakers! Brownie points for Ranveer for pulling it off! Shanoo Sharma - his friend, mentor and possibly the person who is responsible to introduce Ranveer Singh to the silver screen, shared exclusive pictures from his Haldi and they are ah-mazing! Well well, while these pictures are totally melting our hearts, “yeh dil mange more”! Here’s hoping #Deepveer’s wedding reception will be epic and a phone friendly zone!